Talk of a “Nugent-Hopkins-for-Ristolainen” swap plus the latest on Ilya Kovalchuk and the Kings in today’s NHL rumor mill. WGR 550: Joe DiBiase cited the Edmonton Journal’s Jim Matheson said there’s a scenario out there suggesting the Edmonton Oilers ship center Ryan Nugent-Hopkins to the Buffalo Sabres for defenseman Rasmus Ristolainen. Matheson was replying to a piece by colleague David Staples examining how the Oilers could bring in fast forwards and defensemen. 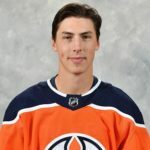 Staples noted the price would be high via the trade market, which would involve moving a player like Nugent-Hopkins. Matheson agreed there are lots of teams looking for centers. He adds you don’t trade a center for a winger, you trade him for a top-pairing rearguard. SPECTOR’S NOTE: A swap of Nugent-Hopkins for Ristolainen would address the respective needs of both clubs. But is there a willingness by their respective managements to make that move? As I’ve said before, unless Ristolainen wants out of Buffalo, I don’t think the Sabres should move him. What makes him attractive to the Oilers (young, skilled, top-pairing defenseman on an affordable long-term contract) also makes him invaluable to the Sabres. Staples believes getting a young first-pairing defenseman for Nugent-Hopkins would be a sensible move. However, he also said he’s not a fan of making a major trade, especially if it’s moving RNH for a winger. He feels help could be coming on defense from the younger blueliners within their system such as Caleb Jones, Ethan Bear or Joel Persson. Staples suggests they should put their emphasis on drafting and developing young talent. That will depend, of course, on who the Oilers hire as their next general manager. LOS ANGELES TIMES: Helene Elliott believes the Los Angeles Kings’ decision to leave Ilya Kovalchuk back in LA during their current three-game road trip to be yet another puzzling move in a season full of them. Kovalchuk recently complained about his reduced role under interim coach Willie Desjardins. SPECTOR’S NOTE: As per Jon Rosen of LA Kings Insider, the decision to keep Kovalchuk in LA was the winger’s idea as he wasn’t expected to play during this road. Still, Elliott isn’t wrong about Desjardins’ handling of Kovalchuk’s playing time and the possible effect it could have upon the Kings’ efforts to sign attract free-agent talent this summer. The Kings are supposedly engaged in an overdue roster rebuild. However, there’s some media speculation suggesting it could be a short-term one, with bringing in some younger, faster, established players via trade or free agency part of the process to speed things along. The lure of sunny Southern California has always been enticing to free-agent players but the Kings’ handling of Kovalchuk and their status as a rebuilding club could make them reluctant to come to Los Angeles this year. A bigger stumbling block is the Kings limited salary-cap space for 2019-20. With over $71 million invested in 18 players, they’ll have less than $12 million to work with if the cap ceiling reaches $83 million as projected. While they have all their core players under contract for next season, there’s some talk of them perhaps shopping goaltender Jonathan Quick ($5.8 million annual salary-cap hit) to free up more cap dollars. That would give them more room to make a big splash in the UFA pool, but it remains to be seen if that’s what Blake intends to do. Ilya should have remained in the KHL. Ilya should have picked his team better. Valid point, but I’m leaning slightly to George’s opinion that IK should have stayed overseas. Not good for either LA or Kov at this point. Agree Chrisms, He would’ve been much better off in Boston, but he chose LA which at 3yrs as a Bruin fan i’m glad he did. If he was looking for rings and glory he woulda looked good on pens too. But for much less money and term. The Kings won a competition to sign this guy. What are they thinking? Dunno. Is Pot legal in Cal now? Crappy situation for both team and player. Well Pengy, after seeing the Jack Johnson signing, apparently it’s legal in Pennsylvania too. Unless Rutherford has a bad case of Glaucoma? does Ryan Nugent-Hopkin for Rasmus Ristolainen help both teams or leave them with new holes? Does Montour make Ristolainen expandable? Re: Montour aqusition making Risto expendable— I really think that Montour is certainly making the case for that. If Botteril can swing that deal; he should take it. For Ed— yes the acquisition of a top pairing Dman is needed but the expense of the void left by RNH is costly. it is time for a young horse on the Pens backline. Pens cannot offer what Sabres need imho. The Rangers however could use Ristolainen but probably not willing to give up what it takes as they try to be patient. Oh you will hear the scream for sure. Lake Ontario will over-flow with my tears! would love to have him; Botterill won’t take what would be offered by GMJR. I was hoping and praying for Montour to Pens; the return to Anaheim was very short IMO. Pens could have done better than that offer. I do like Petterson and Gudbranson has been a very pleasant surprise over expectations. JJ and Ruhweedel can take stats and watch from Press Box. I’ll buy them a beer each for every game if they both stay in the press box. While the Oil don’t have the elite D-man they are building some depth. Nurse, Klefbom, Larsson and arguably Sekera depending if he recovers to form after missing the better part of 2 season with serious injuries, are top 4 guys. I would only classify Klefbom as a #2 with Nurse having a chance to get there. Jones is close and has real potential to be another top 4 guy. They have 3 centers, but zero for top 6 wingers if RNH or Draisaitl isn’t playing the wing, which one of them has to. So in reality they can’t play all 3 up the middle. Can you trade RNH for a winger? Sure but it better be a really good one. So, yes ds, they are creating another hole. Fill the D and the wing from the farm and do a better job drafting and developing. In 2-3 years things may look better. As an Oiler fan i”m really torn about the rumour RNH for Ristolainen. Risto is exactly the type of d-man the Oilers need. On the other hand losing RNH would be hard. RNH seems like he is one of those rare characters who just loves to show up at the rink to play hockey. He is also having a career year with braking the 60 point mark for the first time and still has 7 games to play. The Oilers do have potential that could move in and fill the gap left by RNH, but it’s only potential. They need proven top 6 wingers. That all being said a future top 4 d-men of Klefbom, Ristolainen, Bouchard, and Nurse would be exciting to look forward to. With RNH, Draisaitl, and McDavid at centre the Oilers don’t need anymore centres. What they need is a couple more top 6 wingers and depth on defence. I realize Draisaitl has played lots of wing this year but Chiasson, Kassian and Khaira as the top 3 scoring wingers …ouch. All 3 are borderline decent 3rd liners. For immediate return of impact wingers the Oil will have to trade LD. Thinking with the cap space NYR has they should ask LA to hold 2 million and offer back Vesey for Kovalchuk. We could use another right hand PP guy besides Strome and the recently brought up Lettieri. I would rather Kovy and his shot for 2 yrs than Vesey and his disappearing act for 2 more. It almost felt like a lottery getting Vesey back a couple years ago he was so sought after. Times have changed. What the hell is going on with kovalchuk? I live here in Los Angeles thought he was excused with his wife having a baby??? Now says team told him to stay home..this along with quick and carter a hard contract to move….. Apologies to those readers of this page who abhor any talk pertaining to the Leafs, but I would like to hear from some Leafs fans about Tyler Myers, who is a UFA this summer. He is 29 years old, but obviously with the Tavares signing the Leafs think their window is wide open now. He probably would not be too expensive and I think he would shore up the right side well. Playing with Morgan Rielly instead of Dmitry Kulikov, Ben Chiarot, or inexperienced youngster Sami Niku, may rejuvenate his play. You have to give to get and 2nd line centers are hard to come by. The Sabres have dropped in the standings like a lead weight in water and if it weren’t for that 10 game win streak we’d be fighting Ottawa for 31st in the league. They need to get a 2nd line center and Risto is about the only trade piece they have. We know Botterill will draft a player that’s headed for college so we aren’t getting help from the draft. It makes sense for both Edm and Buffalo I guess. If the chatter at the trade deadline was true that TB had interest in Risto and that is probably a trade that would be re-visited after the season is over. TB has 3 D-men over 30 that will be UFA’s so it would make sense for them to be interested also. Point will get a hefty raise so a forward or two may need to be sacrificed such as Johnson who can play both center and LW. The Sabres brought Borgen up today so maybe they see how he handles the NHL over the last few games. I think if the right deal is presented Risto is gone and acquiring Montour makes it possible. Pilut should have been here all year but the numbers game got him and was the only one that could be sent down other then Dahlin which we know wasn’t happening. If the Oilers want to trade Nugent-Hopkins to the Sabres, they need to take on Okposo and Bogosian.